The victim, Sgt. Steven Floyd, was a 16-year veteran. The Delaware Department of Corrections veteran who died during a day-long hostage situation inside a prison "saved lives in an emergency situation" by warning other officers to get out, according to a union official. Sgt. Steven Floyd, 47, who was found dead early this morning, was forced into a closet by inmates during the siege at the James T. Vaughn Correctional Center in Smyrna, which lasted nearly 24 hours, and later found unresponsive, said Delaware Correctional Officers Association President Geoff Klopp. "Sgt. Floyd was a great man," Klopp said. "Even in his last moments as the inmates attempted to take over the building, Sgt. Floyd told a couple of lieutenants to get out of the building, that it was a trap." Klopp appeared emotional at a news conference this afternoon as he described Floyd, a 16-year veteran, as a loving husband, father and grandfather who "worked overtime three or four times a week to put his kids through college." "This has absolutely been probably the hardest day of my life," Klopp said. Officials said this morning that authorities are investigating how the hostage situation occurred, adding that the motive is not clear. Officials said some inmates had sharp instruments but did not offer more details on the weapons. About 120 inmates are considered suspects in the investigation at this time, officials said. The incident came to an end just after 5 a.m. today, when Delaware State Police breached the C Building, where the situation with two remaining hostages was unfolding, according to the DOC. One of the two hostages, Floyd, was found unresponsive and pronounced dead at 5:29 a.m., the DOC said. It was unclear how he died or if the death was a homicide. (Suchat Pederson/AP Photo) Vaughn Correctional Center near Smyrna, Del., remains on lockdown following a disturbance, Feb. 1, 2017. The second hostage, also a DOC employee, "was safely rescued" the DOC said. She was not injured, said Department of Safety and Homeland Security Secretary Robert Coop, who added that some inmates allegedly "shielded" her and "ensured her safety." After the final two hostages were found, C Building was secured. Klopp said the Floyd family is "absolutely crushed." Klopp said he wants Floyd to be remembered as the "happy smiling man that he was. ... The guy that worked with all the new guys and trained them, and went the extra mile for any human being." The incident began Wednesday around 10:30 a.m. when inmates in C building took four hostages. Inmates in C Building are either heading from lower security to higher security, or from higher security to lower security, Coop said. The first two hostages were eventually released on Wednesday. Three maintenance workers hid in the basement during the ordeal and the inmates were unaware of them, said Perry Phelps of the DOC. Late Wednesday night, the maintenance workers made their way to the roof and were rescued, Phelps said. Officials said the decision was made to go in this morning because through negotiations authorities believed inmates were using stalling tactics to buy time to build barricades. Officials said inmates had filled their lockers with water to make a heavy barricade. Authorities used a backhoe to break down the door and enter the building, officials said. 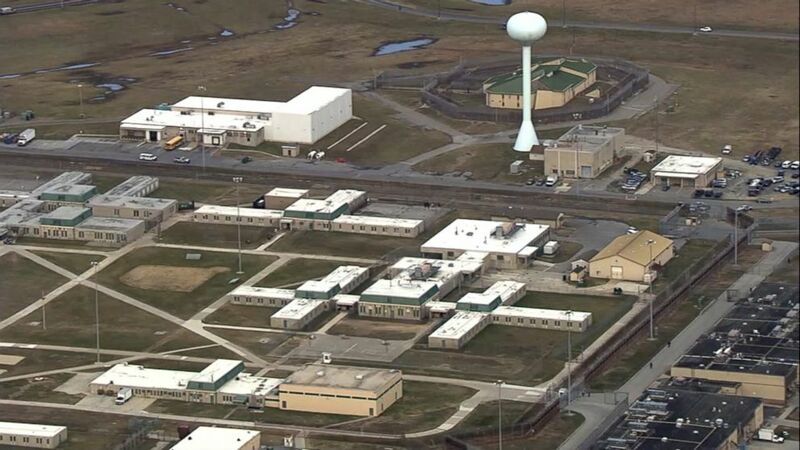 (WPVI) Delaware prison officials say one hostage is dead and a second was rescued after authorities went into a building at the state's largest prison in Smyrna, Delaware, Feb. 2, 2017. Klopp this afternoon blamed staffing issues for Floyd's death and vowed to work with legislatures to make sure this never happens again. The corrections department did not immediately respond to a request for comment about staffing. The James T. Vaughn Correctional Center is Delaware's largest male correctional facility, with approximately 2,500 inmates. Klopp said discussions about DOC issues including staffing, training, retention, shortages and overtime have been ongoing for some time, and he said he had no assistance on these issues from Delaware's previous governor. Klopp said he's had good conversations with Delaware Gov. John Carney -- who became governor in Jan. 2017 -- and he has faith they can work together to fix the "systemic issues" in the DOC that he said have existed for at least the last 8 to 10 years. Carney this morning vowed to leave "no stone unturned" in the investigation. 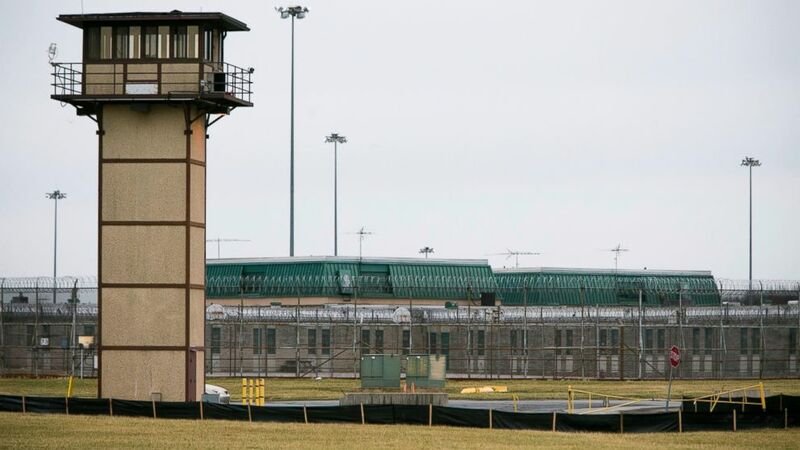 "We will bring every resource that we have to sort out this issue and this problem to make sure correctional facilities are secure and that the employees who work there are safe," he said. Carney said flags in Delaware will be flown at half-staff and said in a statement that he is "praying hard for the fallen officer's family."